MaRS Cleantech works with clients that are entering global markets with a range of unique solutions — from municipal water management to consumer applications for energy management. However, it wasn’t until Axle Plastic Inc. (API) came along that we had the opportunity to explore a very different market with a projected value of approximately $137 billion by 2015: the global beer market. An innovative designer and manufacturer of homebrewing and winemaking products, API employs advanced manufacturing techniques and is at the forefront of manufacturing innovation. By using technologies to constantly improve their products and processes, API is finding growing success in the beer market. A small but noteworthy portion of the beer market consists of homebrewers and winemakers. Since early 2005, the homebrewing community has been gaining both momentum and market share. The homebrew market is classified as part of the craft beer industry because homebrewers are considered small, independent, traditional-style operations. Craft beer is projected to represent nearly 15% of the beer industry by 2020 if it continues at its current growth rate. Companies like API are fulfilling the consumer needs of homebrewers and winemakers by teaming up with manufacturers to sell goods including drying racks, yeast products, bottle cappers and other products that enable the manufacturing of homemade beer and wine. In 2013, nearly 90% of all homebrewers shopped in local homebrew stores for specialty equipment, materials and supplies at least eight times per year. When you factor in online sales, it’s clear that the homebrew market contains very active consumers. API’s flagship products are FastRack Beer and FastRack Wine racks. FastRack Beer was originally designed for the bar and restaurant industry to provide an easy way to collect, drain and stack bottles. Shortly after the product was released on the market, the API team found out that its racks had struck a chord with an unexpected audience: homebrewers. The FastRack systems are more sanitary than their competitors because the bottles drain upside down, without the use of pegs. As a result, no part of the product goes inside of the actual bottle, which eliminates the risk of contamination. This is critical for homebrewers who must often salvage and sanitize bottles. 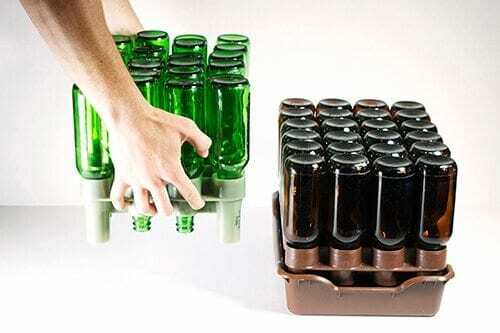 FastRack is also compact and allows for 50 to 100 bottles to be stacked on top of one another. 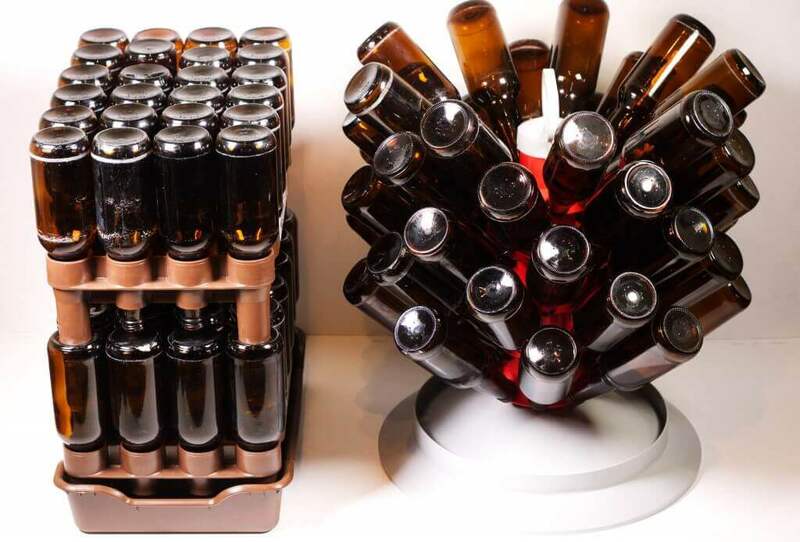 This is a massive advantage for homebrewers who often lack the space to store their bottles. In addition to the homebrewing market, FastRack has also become an industry standard for bars and hotels that serve bottled beer. In May 2013, FastRack products could be found in 70% of Jack Astor’s Bar and Grill locations. With products available in over 20 countries and in almost 1,000 retail locations, API has continued to grow by expanding its product line. The company has created FastLabel, a bottle labelling system that uses a shrink-wrap system to label bottles. The main benefit of this system is the ease of removing the labels, which is useful when recycling bottles. Recently, API launched FastFerment, a conical fermenter, at the National Homebrewers Conference in Grand Rapids, Michigan, which is North America’s largest homebrewing conference. FastFerment allows for easy cleaning and temperature monitoring, and has a capacity built for standard-size batches of product. I sat down with Mitchell Lesbirel, co-founder of API, to talk about the company’s second major order from Europe and their expansion plan. Sarah Aspler (SA): There has been growing interest in API’s products in Europe, as well as in Australia, New Zealand and South America. What challenges does your company face when dealing with rapid expansion into international markets? Mitchell Lesbirel (ML): There are many considerations to take into account. One big focus for us is having correct end retail prices and displays. Our products are sold to stores individually, but we want to have the stores sell them in combinations as well. We have managed this through building strong relationships with our wholesalers. Our wholesalers send point-of-sale material and retailer selling tips to all new stores to help them sell more effectively. In addition, we regularly call individual stores to check in and get feedback. Between my co-founder, Casey Binkley, and myself, we’ve personally spoken to the owners of 90% of the stores that stock our products. SA: Your next objectives include expanding into the cottage market. What strategies will you use to be successful at this initiative? ML: Cottages and households are a very large market for us. We’ve had a lot of people buy our products for their cottages through our current homebrew and winemaker retailers. We are going to initially seed the cottage and household market by using smaller retailers who sell seasonal items to our target market. We want to leverage the success of these smaller retailers to move our way into a larger big-box retailer. SA: What three pieces of advice would you give to future entrepreneurs? ML: First, having mentors to guide you in both business and life decisions is paramount. Mentors have usually already gone through what you’re going through and can help you make better decisions in a shorter timeframe. I recently read Robert Greene’s book, Mastery, and it reinforced my belief in having a strong mentor network. Second, a proper distribution network is critical to a product’s success. Proper distribution must be extensive so that your products are readily available, and it must help create a consistent and affordable end price. Your distribution network should also act as a sounding board and give you feedback on your product. Finally, experience almost always trumps classroom and textbook learning. It is important to have a solid base of knowledge to work from, but it is very difficult to read about how to run a company versus living it everyday. SA: Now that API has a strong distribution network in the homebrew and winemaking markets, how do plan to use your distribution network to your advantage? ML: In addition to always considering how we can expand our distribution network, we’re also always looking for new products. We design some new products in house, but we also work with inventors who either have a product or have a design for a new product. If we like the product we usually rebrand it under the “Fast” brand and then take over all of the manufacturing and sourcing. In return, the inventor gets a royalty on the sales. We’re always searching for the next big product and encourage people to reach out to us.